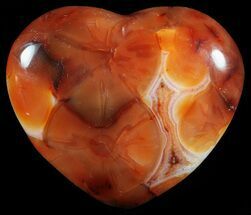 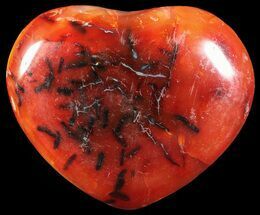 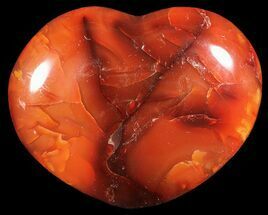 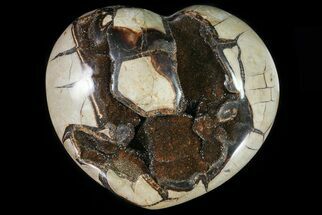 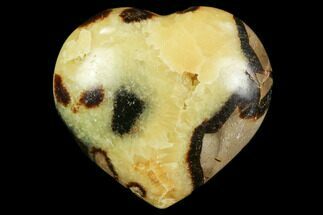 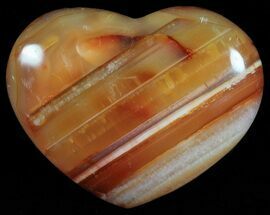 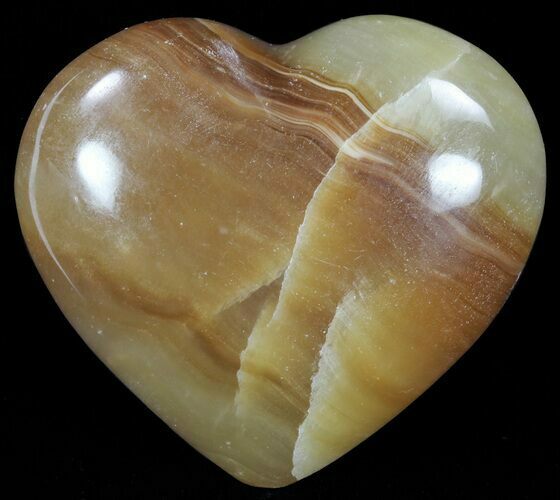 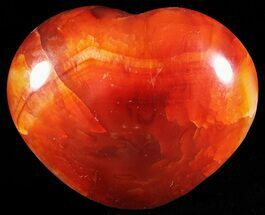 This specimen consists of brown calcite, polished into the shape of heart, collected from Madagascar. 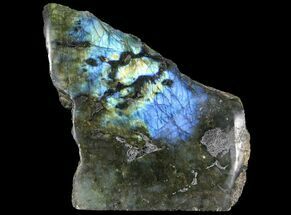 This blue calcite was mined from the Norcross-Madagascar blue calcite fields. 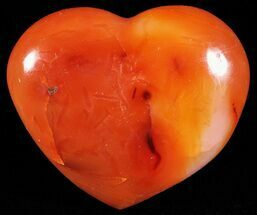 This type of calcite likely occurred as a massive conglomerate, formed from mineral rich water solidifying following accumulation as flowstone and/or through precipitative processes.